As anyone with children will know, repetition is a huge part of your child’s development. Whether that’s watching the same episode of Peppa Pig a million times, or playing the same game over and over and over until the rules all blur into a chaotic mess. Kids love much of the same; it can be in the shape of a favourite colour, cartoon character or book, or even an obsessive fascination with trains. 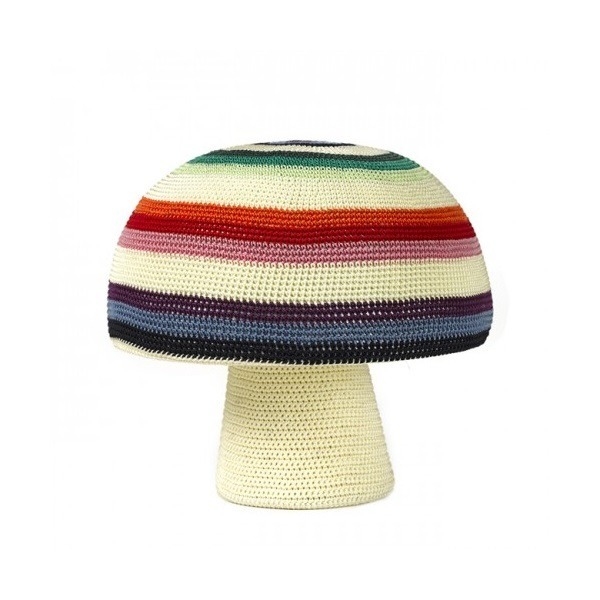 One things for sure; once your little one has a favourite ‘anything’ you are in for years of matching every single item they possess to this favourite entity. 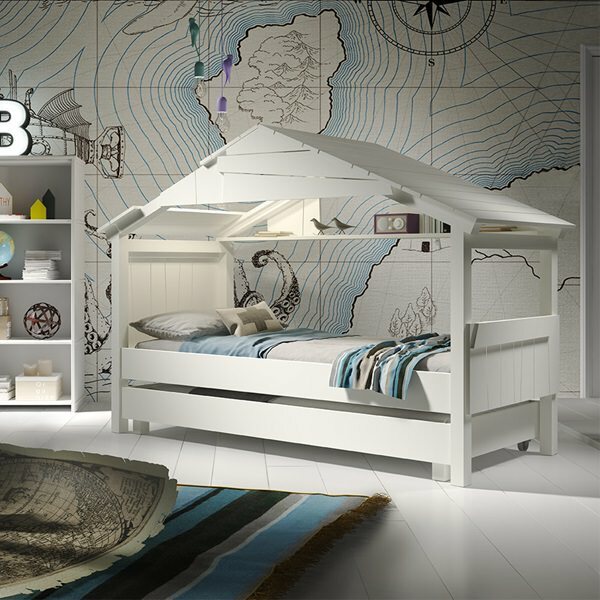 To save the sanity of every parent, we have created our themed children’s bedroom range. 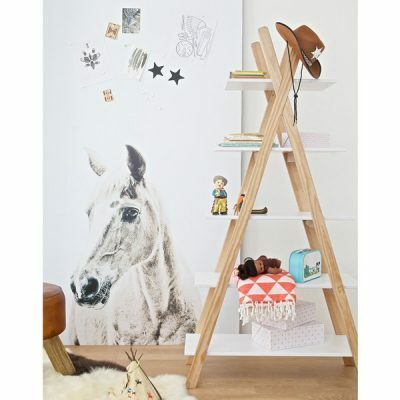 In this range you will find every single item needed to create a bedroom around your child’s very favourite theme. From Pirates to Princesses, Cowboys to The Gruffalo, we have painstakingly matched all bedroom ideas so you don’t have to. So it’s time to put your feet up and time for us to mesmerize you with our themed kids bedrooms…. 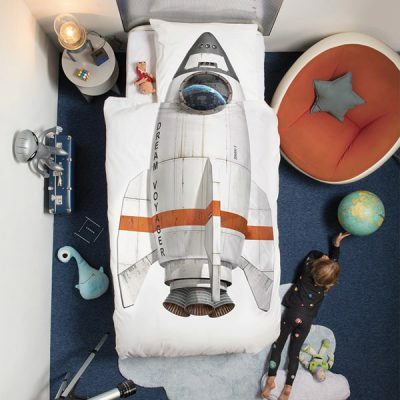 3….2….1…Blast off to the most out of this world kid’s bedroom theme! Our Space Theme Bedroom inspiration includes a universe of wonders and excitement to add to your little space explorers bedroom. From Cabin Bed’s under a canopy of stars to cute-as-a-button Yellow Moon Night Lights and much, much more. Make them feel like Royalty with our Princess Themed Bedroom ideas. We have beds fit for a royal as well as the most luxurious of furniture, soft furnishings, wall paper and even a castle playhouse. After an adventure filled day, your little Fireman would love nothing more than to come home to his very own Fireman themed room and thanks to Cuckooland, he can do just that. 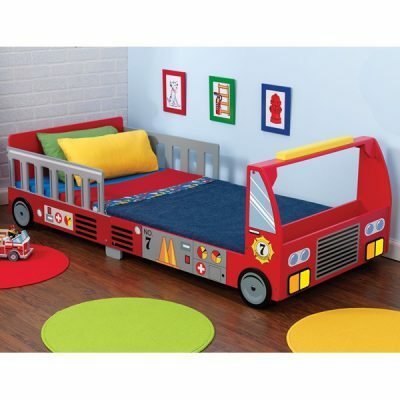 Firefighting is a dangerous business and so your Firefighter needs the best Fire Truck Bed, Firefighter outfit in the shape of a duvet and secure locker cupboards for all his important Firefighting equipment. Have your little Ballerina pirouette into the perfect bedroom filled with fairies and beautiful dreams, with our Fairy & Ballerina Bedroom Idea. Soft and sparkly, we have cute ideas for transforming a little girls (or Billy Elliot’s) bedroom into an adorable wonderland of fun and imagination. Ahoy There Matey!!! If ya be on the hunt for a good ship to steer ya into the land of dream we have just the bed for you. 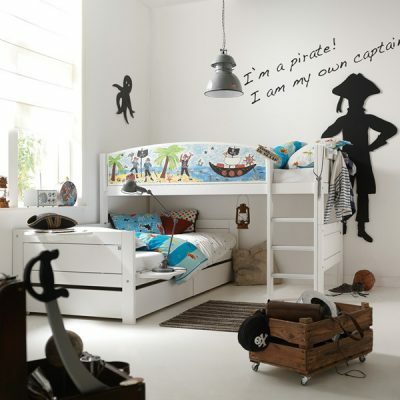 Delve into the adventurous world of Pirates with our Pirate Themed Kid’s Bedroom inspiration. Pirates will be swashbuckling over each other to get their hands on our Treasure Box, Black Sail Bed and Treasure Map Rug. For totally rad surf dudes and dudettes we have Beach Themed Bedroom ideas. 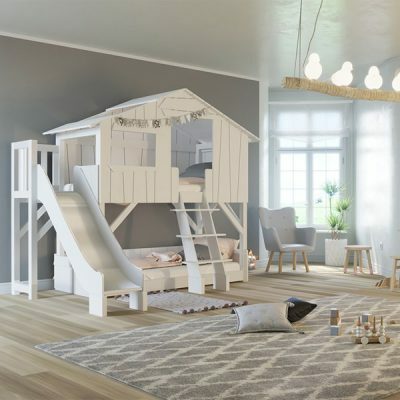 Your super cool, awesome beach lovers will fall in love with the Camper Van Bay Bunk Bed, Havanna Hanging Hammock Chair and Boat House Play Tent. This is the sort of bedroom inspiration reserved for those kids who are just too cool for school. If your kids bedroom looks like a Chimps tea party then our Animal Themed Bedroom ideas will be sure to put a swing in their tail. 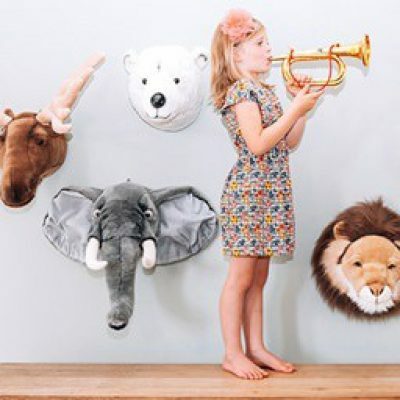 Whether you have a little jungle explorer, lion with the loudest roar, or just a band of cheeky monkeys, our Animal Themed Bedroom has everything you will ever need to create the perfect bedroom for little jungle dwellers. Ello, ello, ello, what do we have here then? It’s our London Themed Bedroom ideas. That’s right, our fair capital city is as iconic as tea and biscuits and we have a theme which captures the very essence of the hustle and bustle of London, in a kids bedroom. 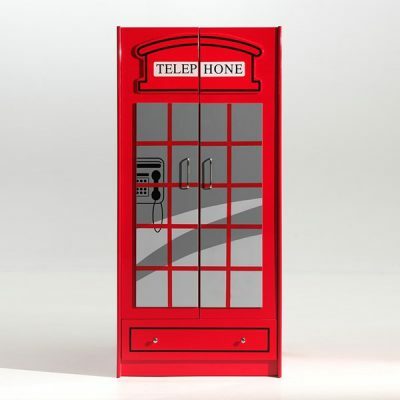 From a London Bus Bunk Bed to wall stickers in the shapes of a Telephone Box, Post Box and even Queens Guard. It’s fair to say that when it comes to modes of transportation and kids, the faster the better! 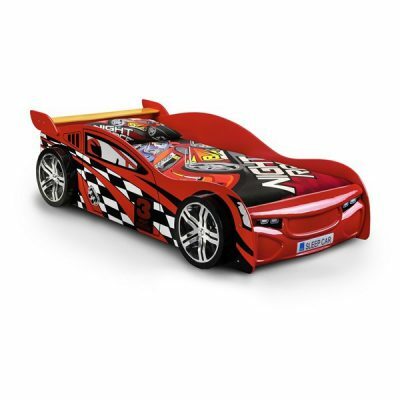 That’s why our Cars & Planes Bedroom inspiration page is such a hit with pint-sized pilots. From Caravans, Racing Cars, VW Wagons to Planes, we have just about every conceivable type of transportation themed kids bed imaginable. Roll up, roll up and witness the greatest bedroom of all take shape with our fantastic range of Circus Themed Bedroom accessories. We have everything needed to recreate the magic of the Big Top Circus in a kid’s bedroom. Every aspect of our Circus Themed Bedroom ideas is bold, bright and beautiful. No self respecting King or Queen would be without their Kingdom home comforts. Whether that’s a castle shaped bed or a knights inspired duvet set, our Knights and Castle range has everything needed to help create a mini Kingdom. If your little one things dinosaurs are absolutely roar-some then we have just the theme for you. 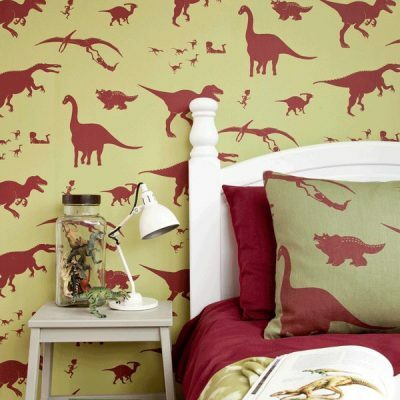 Our Jurassic Dinosaur themed bedroom ideas will blast any bedroom back a few million years to when dino’s roamed free. 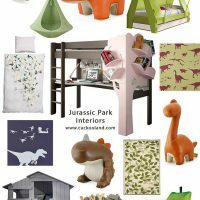 We have everything needed to deck out a dinosaur inspired bedroom with bed, wallpaper, decor and even a dino duvet set. As the kids grow up and turn into *gulp* teenagers their needs change, and so we have a collection of teen bedroom furniture to accommodate your teenagers needs and wants. From cabin beds with extra storage solutions to awesome desks and workstations, we have ideas for when the studies get serious. 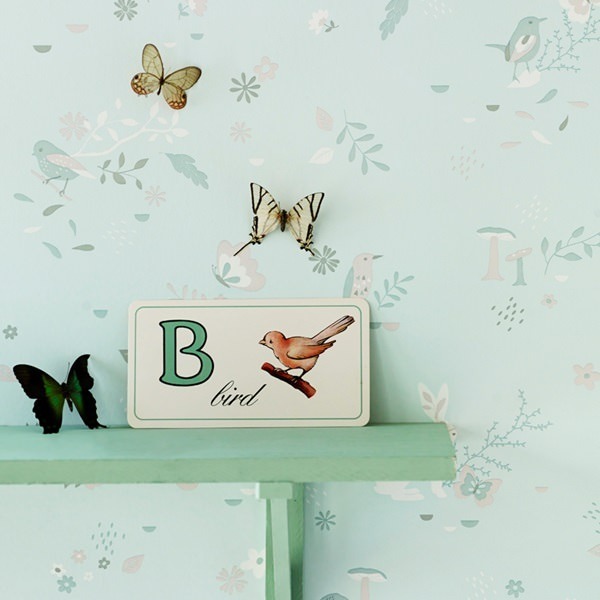 We hope we’ve inspired you into creating the perfect themed bedroom for your child. If there’s a theme you would like to see included in our collection, why not leave us a comment or contact us via Facebook. We are always happy to receive feedback on our range. If you have any questions about your favourite bedroom theme call us on +44 (0) 1305 231231 or drop us a line at customerservice@cuckooland.com and we’ll gladly point you in the right direction.